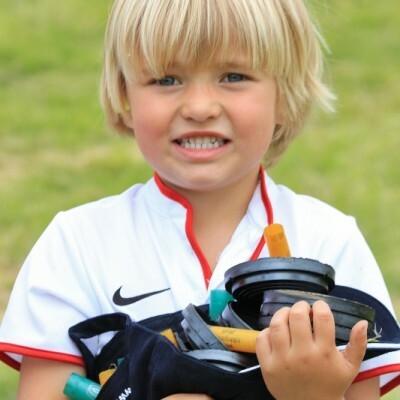 It is difficult to find a way to introduce the young to shooting. It is certainly an expensive option to throw them into a big game day with a 28 bore. Our Young Gun days might be a solution or may prove to be the ultimate birthday party for 12-18 year olds. Your children will be shooting at traditional game such Partridge, Grouse, Pheasant but we will also shoot one of our signature drives being the Woodcock drive where they turn Poacher! Here they will shoot woodcock, snipe, exploding rabbits, rats, and the very rare flying squirrel! If that doesn’t quite complete the afternoon they will also shooting at slow flying foam targets – sounds easy enough – but they will be shooting with a bow and arrow and semi automatic paintball guns! We can also tack on a morning of falconry as an option. 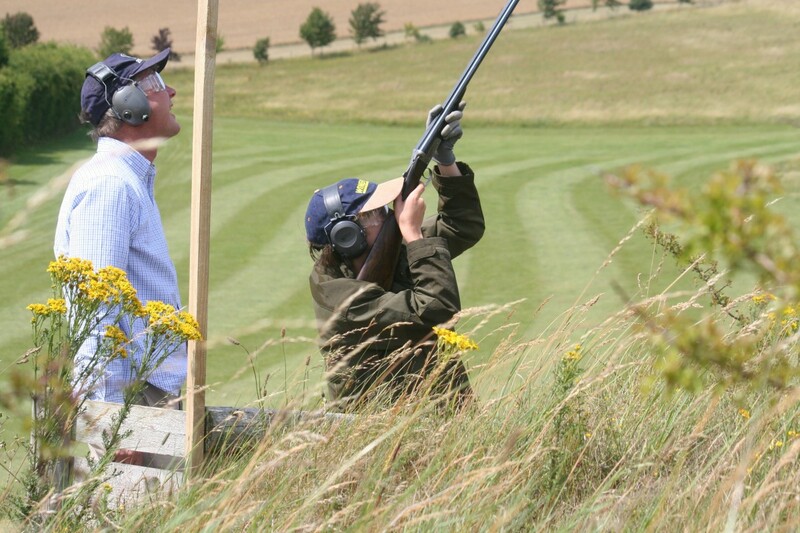 The Young Guns days are ideally for 16-25 children and based on £110 per head. This does not include cartridges. 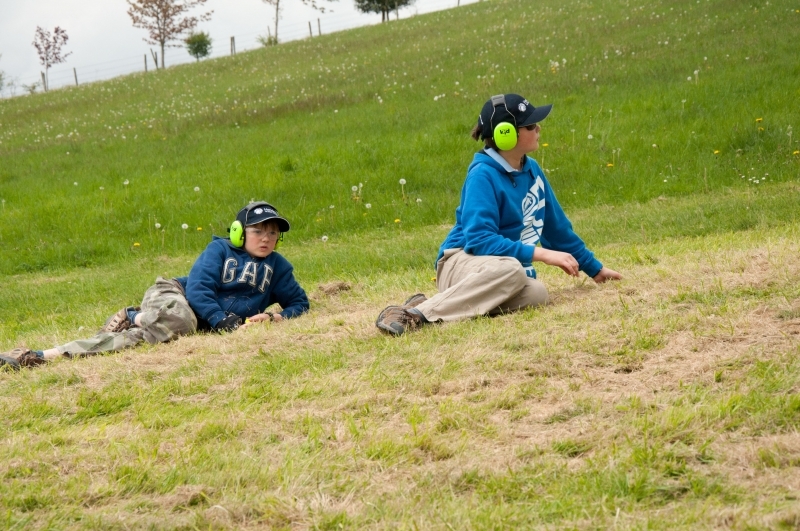 Young guns need supervision and hence we insist on having either experienced adults or our own instructors on hand. Each of our instructors can supervise two or three guests. This is truly fascinating experience! 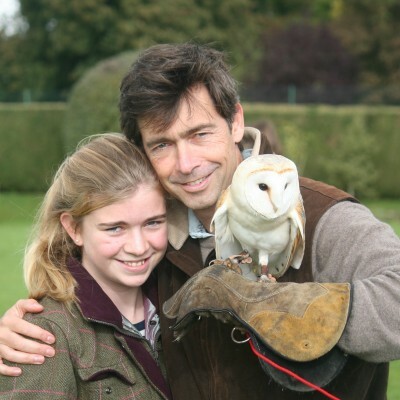 There is so much history with respect to falconry and Chris Neale is one of life’s great enthusiasts and is brilliant at bringing this ancient art form to life. 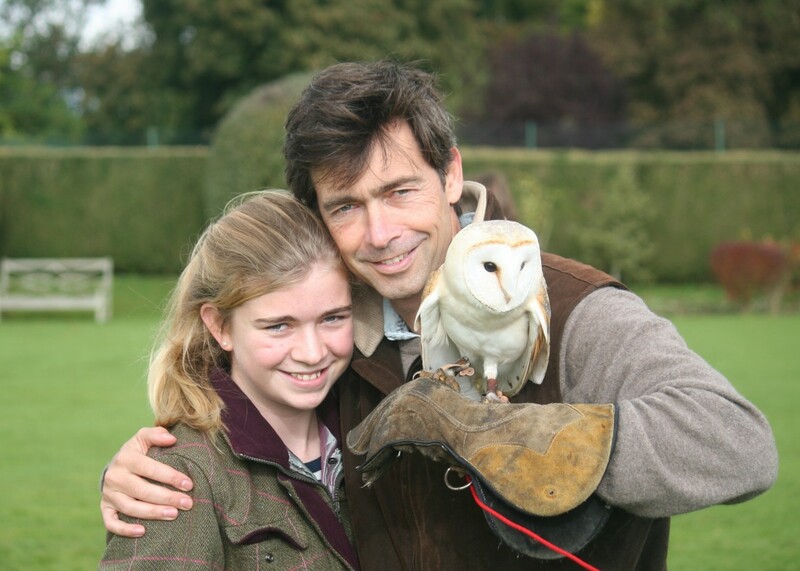 Chris demonstrates these birds all across Europe but is totally passionate about private Children, who in turn will be able to handle the birds that range from a stunning barn owl, to Merlins and then go hunting for rabbits and hares with Peregrine Falcons. The photo opportunities are a bonus! Partridge – The Somme: This is an ideal drive for beginners being predominantly an English partridge drive. The pegs are positioned within a stunning gulley with coveys of partridge and the odd pheasant coming over a hedge. We have recently built a Network of trenches and bunkers to add a new dimension of this drive. Personal duels are inevitable within these. Seeing the top of your neighbour’s hat, their swinging barrels, the disintegration of YOUR bird and then a giggle from yonder bunker leads to one thing. Revenge! The Woodcock: We normally run the Woodcock drive as a mini-competition; the guns are in hides within a mature Oak wood. 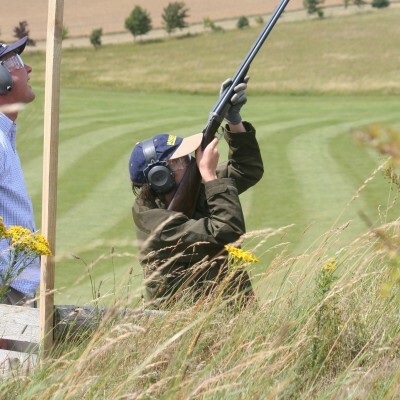 You will be shooting at coloured clays, being woodcock but also at Rabbits, Rats and our newest pest – the Flying Squirrel. 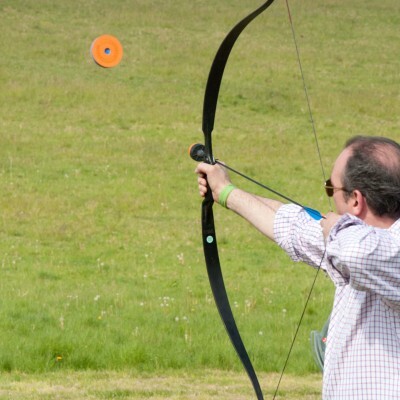 Archery and semi-automatic Paint Ball Shooting at flying Targets: This is boys own stuff! Firstly Think of the great films such as The Last of the Mohicans, Dancing with Wolves, or the Battle of little Bighorn and how the Indians fired arrows from bare back horses at other horses at full race speed and how they pinpointed heart shots with ease – well surely part of your children’s preparation, for the big world, is being able to match that skill. So here is the training. Teams of five or six will have a go at shooting flying large foam discs. We have to be honest this is not easy; hence we have a more up-to-date version to raise moral. Today’s youngsters will have greater affiliation to Mission impossible, Robocop or the Expendables who, of course, never miss with a gun – and hence we arm them accordingly. Here they have semi-automatic paint ball guns and that foam disc is suddenly as tempting and satisfying as Crispy Cream Dognut. 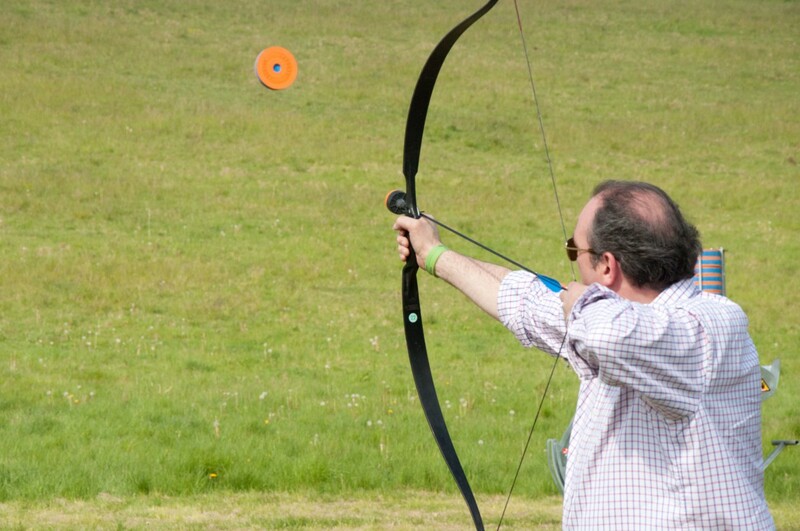 The Euphoria of hitting these targets for any age, dads included, is a pure heroic moment – adrenalin rush! The Children’s days are by definition likely to have a lot of novices. Hence we need to make sure that this area is covered. A detailed safety briefing will be given but we insist that novices must be supervised. 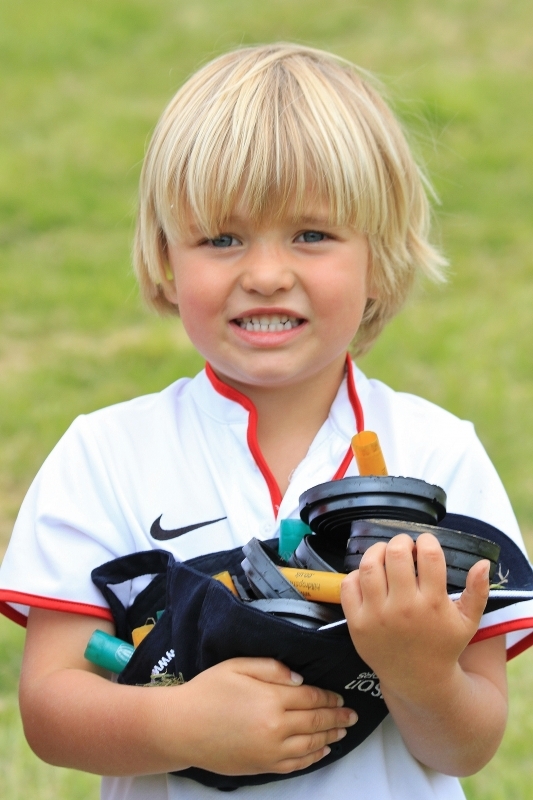 In practice a Father figure or Coach can look after two, maybe even three novices. It is best to discuss this with Tim Eliot-Cohen prior to the day. 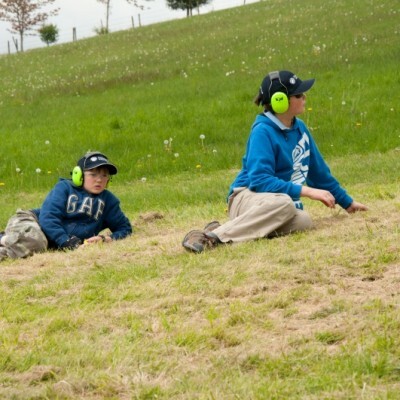 If we are shooting a genuine Fathers and Child day then there is no issue here and while Dad may be an experienced shot we have plenty of ways of leveling the playing field!